Sigh. Last night my husband and I put his whiteboard to use and we mapped out a budget for the remaining months of 2010 and all of 2011. 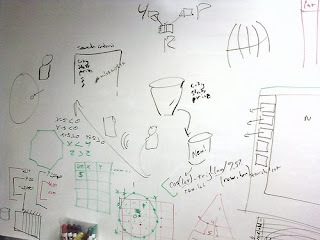 And I learned two things during our whiteboarding session. First, I learned that we have an expensive next few months. Yikes! It's time to start our holiday shopping; we love sharing the season with gifts for our family and friends, and that "stuff" adds up. We also need to install French drains in the front of the house. I want to also buy (and plant) a Natchez crepe myrtle and a pecan tree for the front after we install the French drains. My husband's spirit requires him to be skiing down a mountain for a few days each winter; we need to plan for a ski trip in the budget too. In May, we're spending 10 days in Europe- mostly in the Republic of Georgia with our cousins; it's my fist time to visit Europe and I know it won't be cheap. I also have a never-ending wish list of "to-do's" for the house: bathroom counter tops, light fixtures, chandeliers, a new front door etc...as CFO of the house my husband's job is to not let me spend money. He keeps us saving so we will have more options in our future. My husband doesn't like to spend money, really, which brings us to the second (and most important) thing I learned last night during our whiteboarding session: My husband loves me and he understands me. I know when we're ready my husband would rather go get a pound puppy mutt for our next dog. It saves a life, and it's not that expensive to adopt a pound puppy. However, my husband put the following words on the top of our list of expected expenses for the next 12 months "a French bulldog puppy." 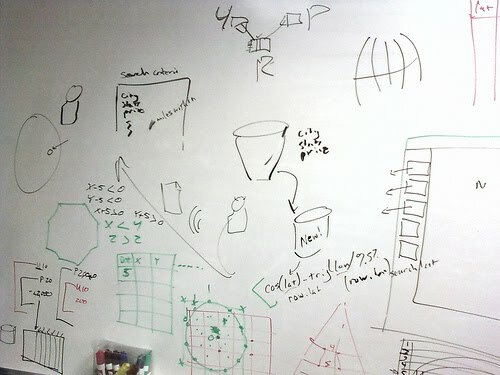 Watching him write those words on his whiteboard in our office made me both sad and happy. I was sad to think about "replacing" Martha Fauker and I was happy that my husband proved (again) that he gets me; he loves me; he knows me; he embraces my silly priorities- it's important to me to have a French bulldog in my life, which isn't a cheap priority! That's a budget on that board??? Wow - no wonder I'm no good at it. I obviously don't know how. Just think how much money you'll save in November and December on dog food though?